is the owner of Blue Sky Creative, a UK based web hosting, web design and mobile app development company. He built and designed the Aronagh website, as well as many other SME and corporate business sites. He has also built an Augmented Reality ios standalone App for Zodiac Rights for MIPCOM October 2014. One of his current projects is working with Media Rights companies to gather requirements and build augmented reality apps for April 2015 Miptv market. 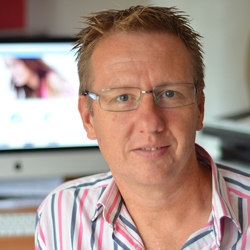 Paul has a degree in Visual Design & Communication covering web video, 3d modelling, websites, visual expression through images and video. Look up Paul on linkedin or at Blue Sky Creative. Mr. Patronising – or how negative energy feeds itself!